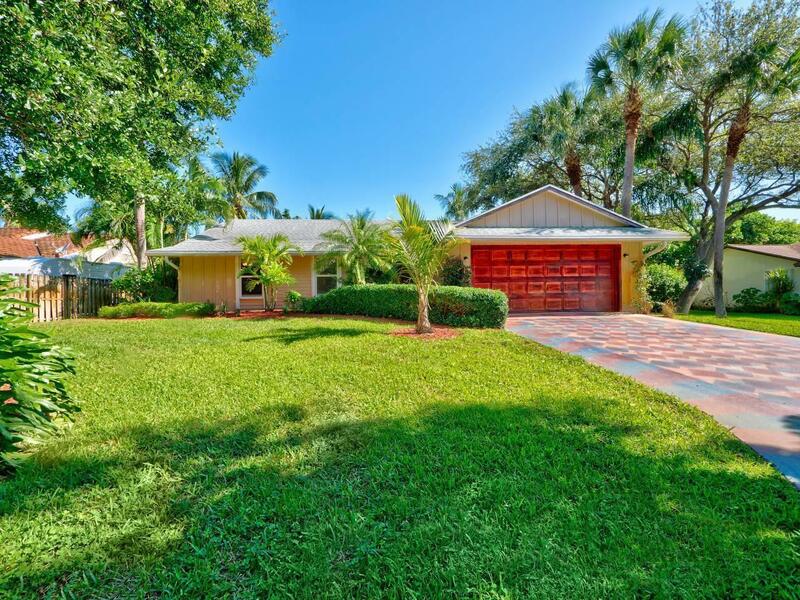 Fabulous Location in Palm Beach Gardens! Just (2) doors from the intracoastal waterway. Large private approx. 0.4 acre lot, with mature tropical landscaping. Being offered fully furnished and turnkey as owner is currently utilizing as an income producing short term accommodations property (via Airbnb and VRBO). This would make a great private residence as well. Features include an updated kitchen with granite countertops, large social bar, lofted ceilings with skylights, open design, private pool, large covered patio and more. Municipality is unincorporated, which gives you many options both as your primary home or as investment property. Large lot allows for the addition of more living space, your boat, RV and more. Close to all the area has to offer. Super quiet, safe neighborhood!Great for walking, running, riding bikes, etc...Beautiful oak filled neighborhood with large lot and open space. Near the beach, intracostal waterway and numerous restaurants and shopping. 15 - 20 minutes to PBI airport. Super cozy 3/2 with pool and tiki bar.